So, Are you looking for the guide which exactly guides you to root your RealMe 3 device without the help of PC/Laptop? Then, You had reached the right destination. Today, We are going to discuss the rooting process of RealMe 3 smartphone which has been recently launched in the market. If you’re excited to root your device. Then, Let’s dive into the guide. Also, I recommend you not to skip any of the steps which are given below. Before we head into the Rooting guide, Let us we take some quick ride on Specifications of the RealMe 3 device. The RealMe 3 comes with the 6.2 inch IPS LCD Display with the resolution of 720 x 1520px. The RealMe 3 device has come up with two variants in the Indian market, where the one variant sports 3GB RAM + 32GB Internal Storage which costs 8,999.Rs, And another variant comes with 4GB RAM + 64GB Internal storage which costs approx 10,999.Rs (Available in the Flipkart). Both the variant supports up to 256GB of External SD Card memory. The RealMe 3 device comes with MediaTek Helio P70 Octa-Core AI processor which currently runs on Android 9.0 (Pie) Operating System (OS). Talking about the camera, The rear camera sports 13MP + 2MP dual camera lens, where the Front camera sports 13MP which is useful for capturing long-wide shots. At last, The RealMe 3 has 4230 mAh Battery capacity which delivers 39hrs of Talk time. We have discussed a lot about the specifications. 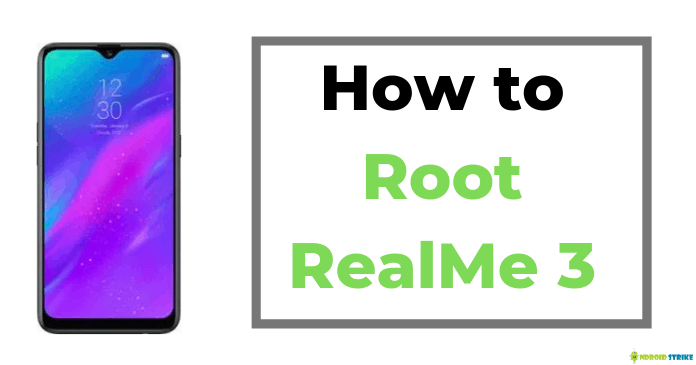 So, Now let us we dive into the Rooting guide of RealMe 3 smartphone. Make sure your device has at least 80% battery to avoid accidental shutdown’s. Take a complete backup of your important files and store it in your External SD card or else in some other cloud storage apps. Your device should have Unlocked Bootloader, and TWRP Recovery installed. Go to settings >> About Phone >> Tap on build number 7 times. Now, It shows the pop-up as “You’re a developer”. Now, Come back to settings, You’ll find a new option called “Developer Options“, select it. Find USB Debugging and Enable it. Also, Enable OEM Unlock option. So, As I mentioned in the title, the rooting process doesn’t require any PC support. But, To Install TWRP Recovery and to unlock the bootloader, You need to get the help of your PC/Laptop. So, Let’s get into the detailed guide on unlocking the bootloader on RealMe 3 Android device. Before proceeding to the further steps, I strongly recommend you to take the complete back up of your files and apps to get rid of data loss. Also, Make sure your device having at least 70-80% battery. Note: Update your RealMe 3 to latest official firmware version before proceeding to unlock the bootloader. Download the Unlock APK tool from this link and install it on your phone. Now, Open the app, and you can notice a button called “Start Applying“. Then, Read the terms and disclaimer page and select or tick the checkbox and “submit the application” to continue further. Now, the application has been successfully submitted, and it will be checked by the realme servers. You’ve to wait for 1-2hrs to get the status of the unlock request. If you get the successful message, then, Click on “Start the in-depth test” option. Now, You can see that your device reboots automatically and displays a “fast boot_unlock_verify ok” message. You are not yet completed! Now, the real game starts. You have to be careful while doing the below-mentioned steps. Don’t skip any of the steps. And, You need the help of your computer. 8. Now, Navigate to the folder where you have downloaded the platform tools zip file. You have to extract the files in one folder. 9. Now, Open that folder and open Command prompt from that window. To do that, You can either click on “Shift Key + Right Click,” or else you can type cmd in the path and open the command prompt window. 10. Now, You can see that the command prompt window has opened. After this, Connect your Phone to your computer using a USB cable. 11. After running the commands, Look at your phone. It will display some options. All you need to do is, Use the Volume keys to scroll and select the “Unlock The Bootloader” option and Press “Power button” to select the option. 13. Now, You’re done! You’ve successfully unlocked the bootloader of your RealMe 3 device. Till now, We have unlocked only the bootloader. The next step is to install TWRP Custom Recovery on RealMe 3. Download the TWRP Recovery image from TWRP Official site. Now, You have to paste the twrp.img file in the platform-tools folder. 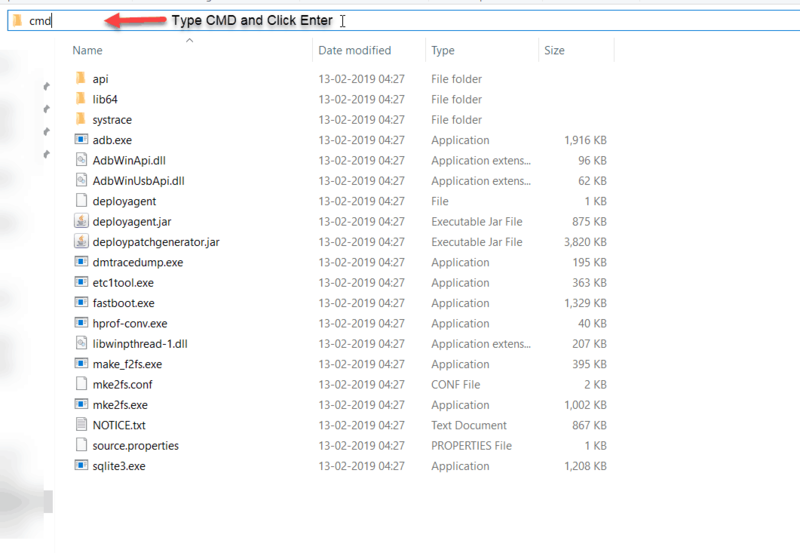 Connect your Phone to your PC/Laptop using the USB cable and open the Command Prompt from Platform-tools folder as we discussed above in unlocking bootloader. Once, The Command prompt window gets opened. Execute the following command. This command checks whether the device is connected properly or not. If it’s not showing. Then, you have to install the supported-drivers and repeat the same process. Now, You have to execute the following command to enter into the fastboot recovery mode. After executing the above command. You have to execute the below command to install TWRP recovery image on your device. You have successfully installed the TWRP Recovery image. Now, We’re moving on to the next process, that is Rooting! Note: – There are other methods to install TWRP recovery on your device. But, this process is a trusted one. So, I have explained how to install it manually. You can check other sources for other methods of installing TWRP Recovery. 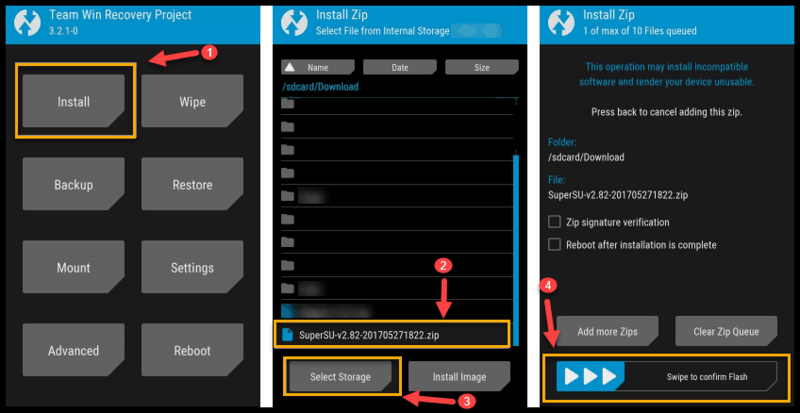 Download the SuperSu Zip file from the given download link. Now, Move that downloaded zip file to your phone’s internal storage. Now, You have to Boot your RealMe 3 device to TWRP Recovery Mode. To Boot your device into TWRP Recovery Mode, You have to Turn OFF your device and Power it ON by pressing Volume Down + Power Button Simultaneously until you see the boot animation. Now, You have to select the Install option. And choose the SuperSu Zip file from the stored location. Now, You have to Swipe to continue to install the SuperSu Root file on your phone. It takes 2-3 mins to complete the installation process. You’re done now! You’ve successfully Rooted your RealMe 3 device. To Check whether the device has successfully rooted. You have to download and install the Root Checker app and check through it manually. Finally, We are done with the Rooting process of RealMe 3 Android phone. This is a complete guide which almost covered all the needs that you need before rooting your smartphone. I hope it helped you to root your device. If it helped you, then don’t forget to share this article with your friends and follow us on social media for quick updates and guides like this.